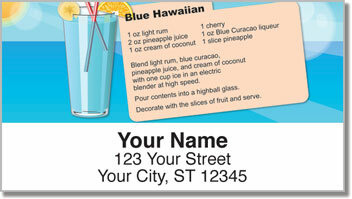 What better way to cool off and relax on a sweltering summer day than with an ice-cold cocktail? From a Long Island Ice Tea or a rum and Coke on the rocks to a a frozen strawberry margarita, nothing lifts your mood when the heat and humidity starts dragging you down like an adult beverage (or two). 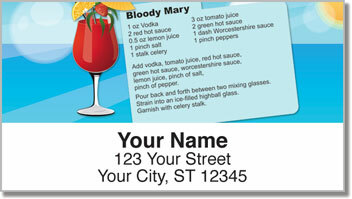 These fun-filled address labels feature four different drinks as well as their actual recipes. They make a tasty finishing touch for your letters and packages. 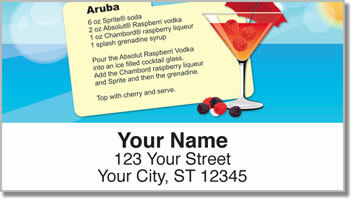 Plus, you'll love how easy it is to finish filling out envelopes using your new labels. They are self adhesive. So just stick them on all your outgoing mail and be done with it! 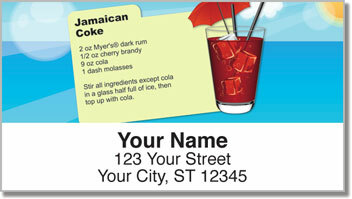 Get your own Summer Cocktail Address Labels today! You can also order matching personal checks.